Recently I visited a Sheep and Wool Festival in Jefferson, WI with my sister-in-law Karen. There we met Nancy Alison who creates knit and crotchet beaded purses. Nancy was very gracious to show us how to knit or crochet these little beauties. This started my mind thinking of the seed beads I had at home from my daughter Renee. One container had gold and silver combined and next to it was gold only. 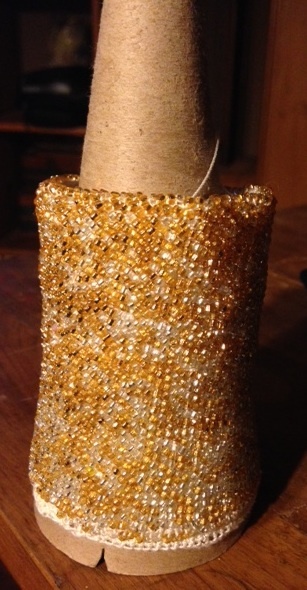 I purchased a coin purse closure for the top of my beaded purse. I loaded the thread with gold and silver beads and roughly chained out enough stitches to match the width of the purse frame. 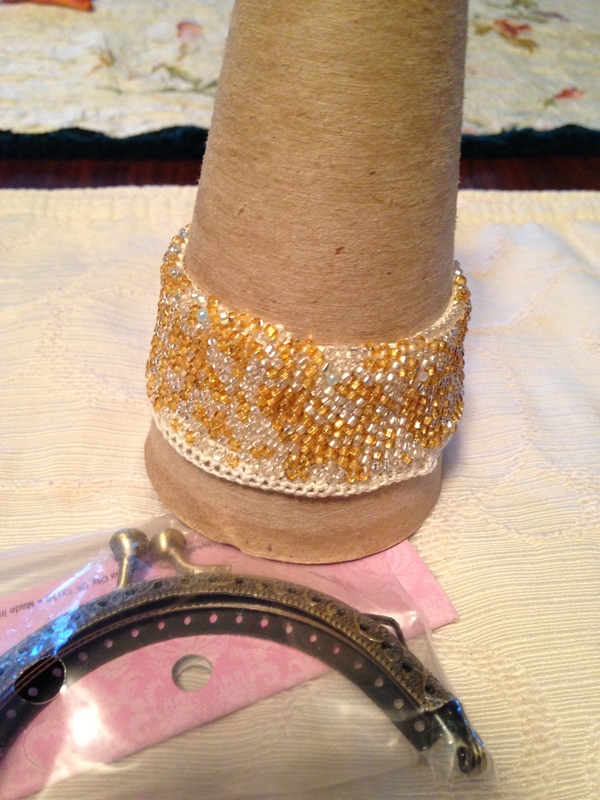 After working in a round twice; the beads were added randomly from the gold and silver blend to each stitch. As that compartment emptied, I added more gold to it until all the silver had been use. I am now working on gold beads only from here to the end. Soon I will need to figure how many rows are needed to fill the area from the coin purse hinge to the top. I will stop going around in a spiral and crotchet back and forth on one side, decreasing stitches to make a side flap to fill the arch of the frame. Then do the same on the other side to create flaps to sew onto the frame. I hope this works; I am making this up as I go. I will post again when it is finished. But in the meantime, visit nancyalison.com to view her Gallery and if you dare, order a pattern. All of her patterns come complete with everything you will need to make the design; needles, thread beads and instructions. I only saw knit patterns, but contact her to see what she has available in crotchet if that is what you prefer. 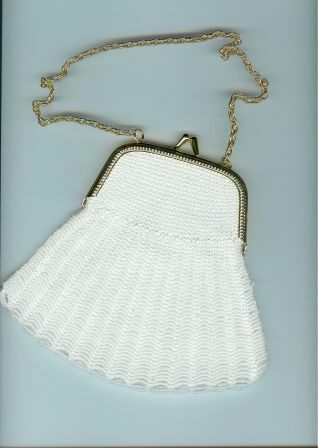 This entry was posted in Main Page and tagged beaded purses, crotchet, Nancy Alison, seed beads. Bookmark the permalink.